Happiness – the greatest gift we have to give! Last night the Lodge of Happiness brought their immensely successful 50th jubilee year to a close and ushered in a new year with the Installation of Worshipful Brother, Christopher J. Albion. Some 50 Brethren attended the ceremony to witness the installation of W.Bro. Chris into the chair of King Solomon and becoming Worshipful Master of the Lodge of Happiness for the following year. 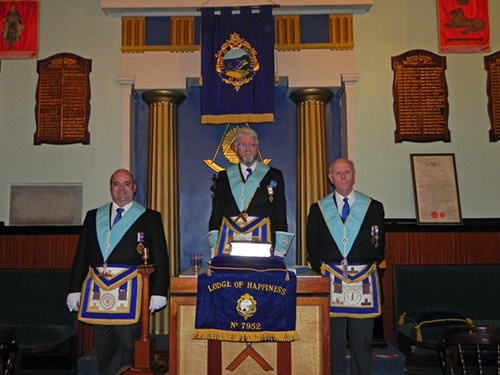 Those present heard about the success of the Lodge under the guidance of the Immediate Past Master, W.Bro. Michael Willetts. 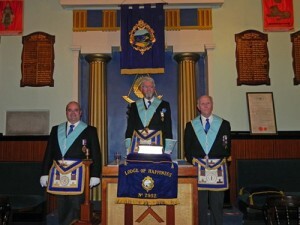 The Lodge had continued to grow thanks in part to this website. Interest in joining the Masons remains high and a steady stream of enquiries to join the Lodge are being fielded. So much so that W.Bro. 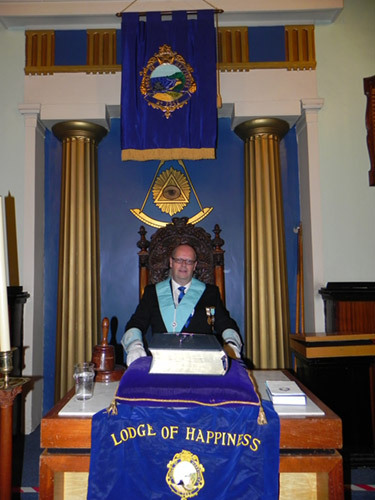 Chris’ busy programme for the year has had to be extended to keep up with demand from people wanting to become a Freemason with the Lodge of Happiness. The Lodge recently held a Potential Candidate’s Curry Night, such is the strength of the rate of enquiries about joining. This site has been validated for both HTML5 & CSS3 © Lodge of Happiness 2011-17. Third party image(s) © held by their respective owners. All rights reserved. Tel: 0845 474 7952 Address: Severn Street Masonic Hall, 60 Severn Street, Birmingham, West Midlands, B1 1QG. You won't find a happier place to join a lodge and be a Freemason.